MAT 2019 Admit Card update: MAT 2019 Admit Card is now available on the official website. 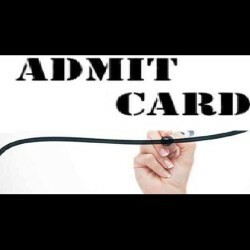 The All India Management Association (AIMA) has released MAT 2019 Admit Card online. While the AIMA has released the MAT 2019 Admit Card on its official website, candidates are advised to download the exam hall ticket online. Guide to download MAT 2019 Admit Card is mentioned below. How to download MAT 2019 Admit Card online? Guide to download MAT 2019 Admit Card as follows. The AIMA will conduct MAT 2019 online test on February 23, 2019. The All India Management Association (AIMA) has released MAT 2019 Admit Card online. The AIMA has released the MAT 2019 Admit Card on its official website. Candidates are advised to download the exam hall ticket online. Note: The entire team of My Result Plus wishes Best of Luck to all the candidates for MAT 2019 Examination.